How do you top Transformers? Well, you don’t. But you can get pretty close with robot dinosaurs in disguise. The VTech MobiGo 2 is the other major release from VTech this week, and aims to be for the handheld gaming system what the InnoTab 2 is for the tablet. VTech has announced the newest version of their educational kids’ tablet, the InnoTab 2. The InnoTab 2 is a 5” tablet that places an emphasis on parental control of content, keeping a pretty strict fence around what kids can access using the device. Last week we reported on the debut of the VTech InnoPad and this week we got a hands on with the Kids version of a tablet. Because kids just want to be like their parents, VTech is banking on the success of their VTech Reader in hopes of once again encouraging parents to get kids their own version of a tablet versus smacking up and flithing up their much more grown-up, pricier one. 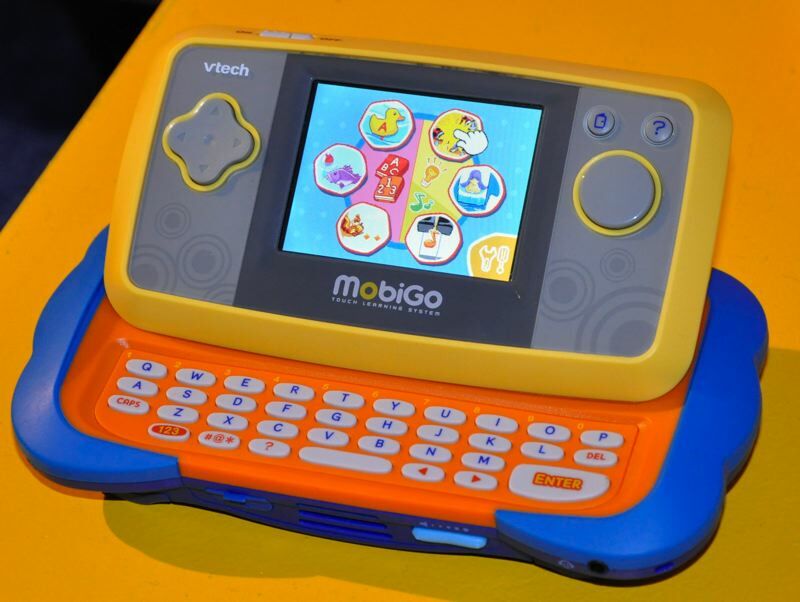 The VTech MobiGo is an innovative handheld that also offers touch-screen technology with a full tactile slide open Qwerty keyboard. Perfect for those parents who are not ready to commit to a Nintendo DSi. There is a plethora of digital cameras out there designed for kids, but Vtech’s Kidizoom has some cool features that make it stand out. For starters, it has a 2MP sensor which is bigger than the sensor found in most cameras aimed at kids. It also features a built-in photo editor that lets users add silly frames, stamps, or enlarge photos on the fly. Children will also appreciate the ability to customize the camera with one of the two faceplates that are included in the box. The Kidizoom just dropped down in price and now retails for just $49.99.